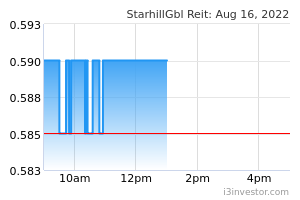 Starhill Global REIT is a Singapore-based real estate investment trust investing primarily in real estate used for retail and office purposes, both in Singapore and overseas. Since its listing on the Mainboard of the Singapore Exchange Securities Trading Limited (the “SGX-ST”) on 20 September 2005, Starhill Global REIT has grown its initial portfolio from interests in two landmark properties on Orchard Road in Singapore to 11 properties in Singapore, Australia, Malaysia, China, and Japan, valued at about S$3.1 billion. These comprise interests in Wisma Atria and Ngee Ann City on Orchard Road in Singapore, Myer Centre Adelaide, David Jones Building and Plaza Arcade in Adelaide and Perth, Australia, Starhill Gallery and Lot 10 in Kuala Lumpur, Malaysia, a retail property in Chengdu, China, and three properties in Tokyo, Japan. Starhill Global REIT remains focused on sourcing attractive property assets in Singapore and overseas, while driving organic growth from its existing portfolio, through proactive leasing efforts and creative asset enhancements. Starhill Global REIT is managed by an external manager, YTL Starhill Global REIT Management Limited. The Manager is a wholly-owned subsidiary of YTL Starhill Global REIT Management Holdings Pte. 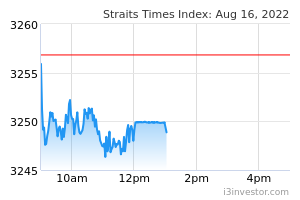 Ltd. which is in turn an indirect wholly-owned subsidiary of YTL Corporation Berhad. Is REITS still a good investment? Peter Chen Tan Sri Yeoh Tiong Lay grandson not marrige Taiwan legislation speaker 's daughter. Novice168 any comment on this counter?